Choose a barefoot beach wedding, a traditional chapel ceremony or on the deck of your Sunset Pool Villa - the choice is yours. We've designed wedding packages to ensure a truly memorable wedding day or elopement at Tokoriki Island Resort. 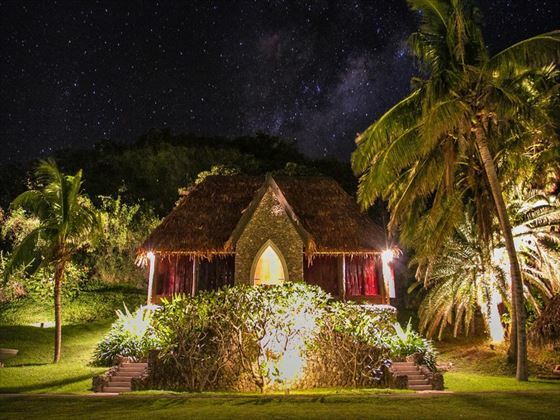 Tokoriki Island Resort is a luxury adults only boutique resort perfect for couples and honeymooners delivering exceptional Fijian warmth and hospitality with a caring attention to detail. Choose a barefoot beach wedding, a traditional chapel ceremony or on the deck of your Sunset Pool Villa - the choice is yours. We've designed wedding packages to ensure a truly memorable wedding day or elopement at Tokoriki Island Resort. A boutique island paradise for couples seeking an affordable indulgence. 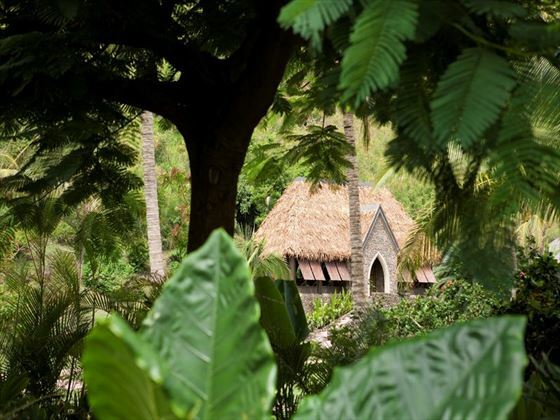 Tokoriki exudes Fijian hospitality and is a relaxed blend of contemporary Island style and Fijian design. Guests marrying in Fiji will need to send photocopies of the documents listed to us at least 12 weeks before the date of the wedding. 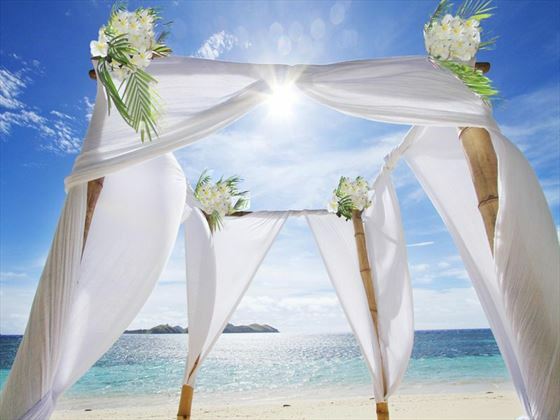 All of the Fijian properties pre-organize your Special License prior to arrival, therefore you do not need to go to the Registry Office on arrival and can go straight to your respective Resorts/Hotels provided Tropical Sky receive we receive the documents listed to us at least 12 weeks before the date of the wedding (no later than 1 month before). 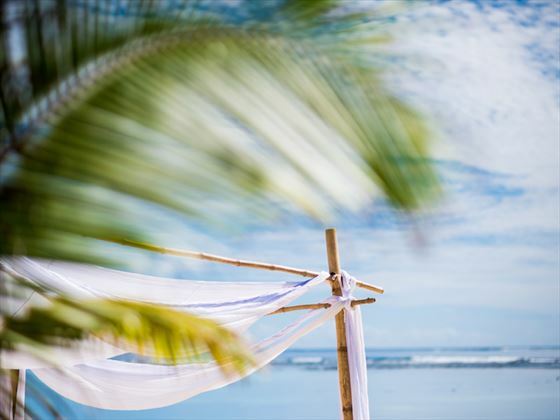 Failure to send copies before departure will result in you having to visit the Registry Office and purchasing the Fiji Special licence while in resort. Tropical Sky Weddings and the information given above only apply to couples that were born in the UK & Ireland & have a valid UK/Irish passport (with some months validity on return home). If couples do not fulfil these requirements they must advise us. Couples should be referred to the embassy of the country of origin and the country where they wish to marry as they may require extra documentation to satisfy their own embassy requirements – Tropical Sky cannot advise on this and couples must investigate this on their own. As Tropical Sky weddings have no jurisdiction over hotels/resorts/venues/legal requirements and their charges, we cannot be responsible for any increases or changes to these wedding arrangements. We will, however, endeavor to advise you of changes as soon as we are made aware of them. All prices and legal requirements correct as of May 2017. 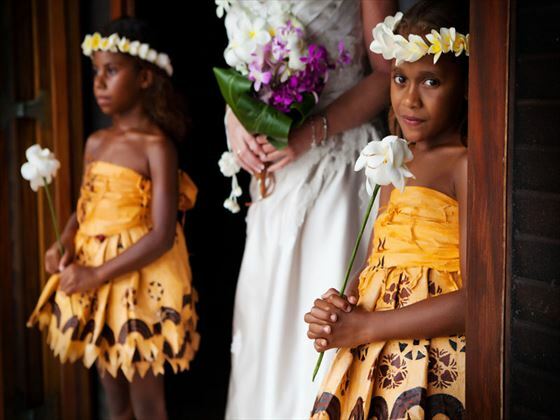 Why book your Fiji Wedding with Tropical Sky?